Your body is the engine that keeps you going. It is a mechanism that needs to be fueled daily with foods and nutrients. However, the type of foods you eat will have varying effects on how your body recovers from strenuous exercise and activity. There are certain food groups that do a better job than others to facilitate muscle recovery. Here are some food groups you can add to your post-workout diet. Coconut oil has medium chain fats that integrate better into the bloodstream. These contents are great for muscle recovery, endurance, and stamina. You can mix them into beverages such as smoothies. They can be a substitute for butter as you cook or bake certain foods for your meals. One recommendation is to store your coconut ingredients at room temperature. Extra-virgin olive oil contains antioxidants which have been known to reduce inflammation. One of the key antioxidants in extra-virgin olive oil is oleocanthal, which works similarly to ibuprofen, an anti-inflammatory drug. The oleocanthal in 3.4 tablespoons of extra-virgin olive oil has been estimated by scientists to have a similar effect as 10% of ibuprofen (adult dosage). Adding Greek yogurt to your post-workout diet can give you an extra amount of protein to aid your recovery. In addition, Greek yogurt is packed with a good amount of carbohydrates. You can mix this yogurt into other dishes along with cereal or fruit. Lastly, the fresh berries that make up Greek yogurt are effective in combating muscle soreness. Chronic inflammation can be risk following a workout or exercise routine. While your muscles and joints are sore, your immune system will also take a beating. Without proper eating habits, you may be increasing your risk of chronic inflammation. With omega-3 fats, you can balance out the intake of foods high in omega-6 fats. 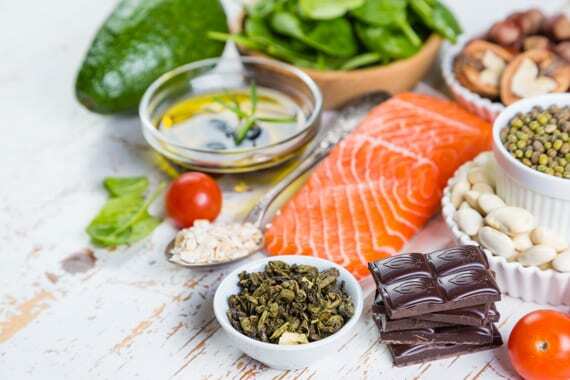 Some examples of food within this group include salmon, herring, walnuts, eggs, soybeans, and sardines. There are also algae and fish-oil supplements that can help you get your fix. Whey protein is for every athlete and fitness enthusiast. Even if you are not weight lifting, it does not mean you ignore the need to develop and supplement your muscles. Protein is responsible for repairing the muscle that helps you complete your workouts and exercise routines. In addition, muscles are beneficial for every chemical reaction your body experiences. Whey protein contains the necessary nutrients, such as amino acids, to keep your body in good post-workout shape. You can get your whey through shakes or packets. Generally, just 20 to 30 grams of protein are sufficient to give you a good post-workout serving. Your workout is important to you for maintaining a healthy, long-lasting body. One of the main components that make up a good workout is what you consume afterward. The key to successful, productive workout recovery is a good diet packed with the necessary nutrients you need. Foods with whey protein, Omega-3 fats, extra-virgin olive oil, and coconut oil are just some that can help you maximize your workout recovery. Consider adding these food groups as part of your fitness plan.